The film is nicely done but quite personal in taste to be more appreciated. I will only make a review as a person who saw these two characters Aimee and Ollie as Ella and Julian. I saw how viva promoted the love team and the movie. I was there on one of their mall tours as a paparazzi photographer and for that my review will be quite about them as the same as the film. The film The film had some nice compositions and cinematic feel. I love the restaurant scene as they say "anneyong sayo" in korean as they have their first date. Those shots were nice. The acting was familiar and it is the same as who they are in public. Their chemistry was seen as Ella and Julian rather than Aimee and Ollie. That was the down point for me for I would rather see them go outside their celebrity characters and be a character in a movie rather than being a public figure as a character. I never felt the separation. The cuts were nice. I would emphasize on the role of the gay production assistant(Day player) He gave a sense of ornament about the film that supports greatly the character of Aimee without him Aimee as a character would not hold. So i give a lot of props and recognition to him. His acting also is nicely done. The security guard gave a light feeling of humor in the ending that left the viewers satisfied, at least I got to see some good humor acting in the film. All in all the edit was nice but not something that would make me super impressed but it was nice. Ella and Julian Ella and Julian are hard workers I would review this film in a perspective that people tend to not see the talent Julian has. To be honest his scenes made me tear up twice i think so that means he has good acting skills. I would want to see him do a role outside of his celebrity persona or character that maybe could make the necessary break for him to prove the world that he deserves better. Ella here for me as an observer is quite the same. I liked ella more on other supporting roles in other movies but she pulled it off in this movie but I still like her better as a character outside of her celebrity persona. I would say that this film deserves more or to correct my statement these two people deserve more recognition than what they are having now. I look forward to see these two as character actors more outside their celebrity personalities. Conclusion The film is nice and its for the fans. 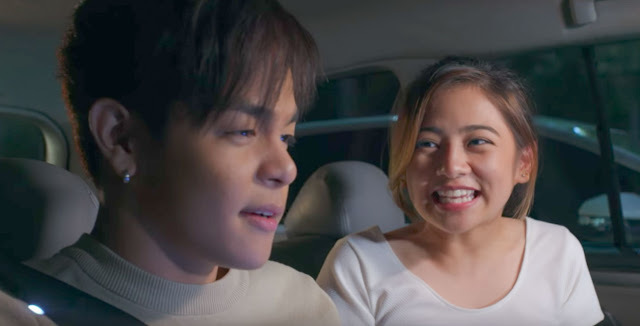 I would like to see Julian and Ella act outside of their celebrity personas and be more of a character that gives them a different angle to show the Philippine cinema what they got. I wish for these two to get in a movie acting as something different from who they are.